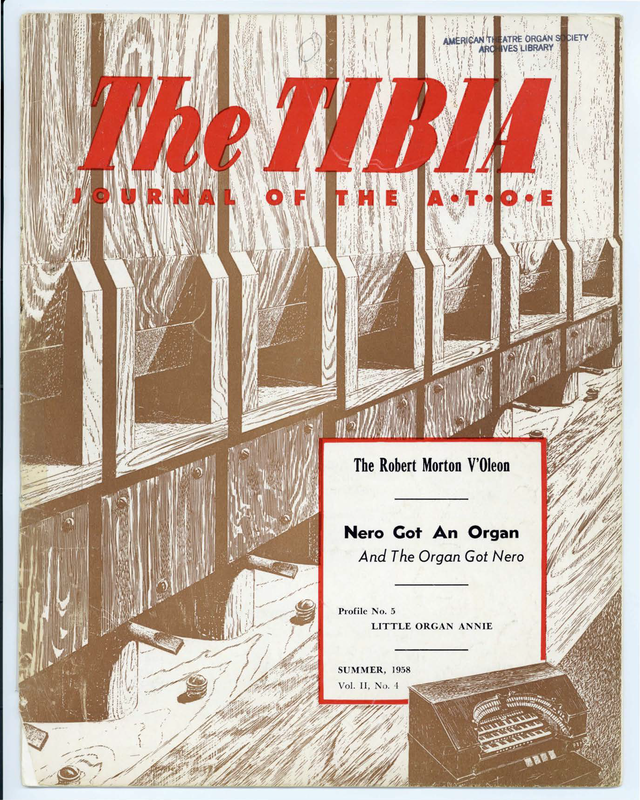 Theatre Organ Journal (Theatre Organ) content has been made openly available with permission of the American Theatre Organ Society (ATOS), based on rights granted in the ATOS Freelance Author Publishing Agreement (FAPA). Content available on the open web is more likely to be discovered, read and cited; however, if you are the creator of written or photographic content contributed prior to the institution of FAPA and do not want your content openly available, please contact ATOS with the URL and a description of the content and your contact information, and ATOS will respond at the earliest opportunity. Welcome to the digital archive of Theatre Organ: Journal of the American Theatre Organ Society. Phase 1 of the Theatre Organ Digitization Project – completed in June of 2018 – included planning for digital storage and redundancy, workflow creation, database development, and uploading of the first few issues of the journal. During Phase II, work will continue to ensure full searchability of the database and complete digitization and accessibility of all archival issues by June of 2019, and the implementation of a vanity URL. Issues published within the last two years are only available to dues-paying members of the American Theatre Organ Society (ATOS). To learn more about joining ATOS, visit the Membership page of their website.